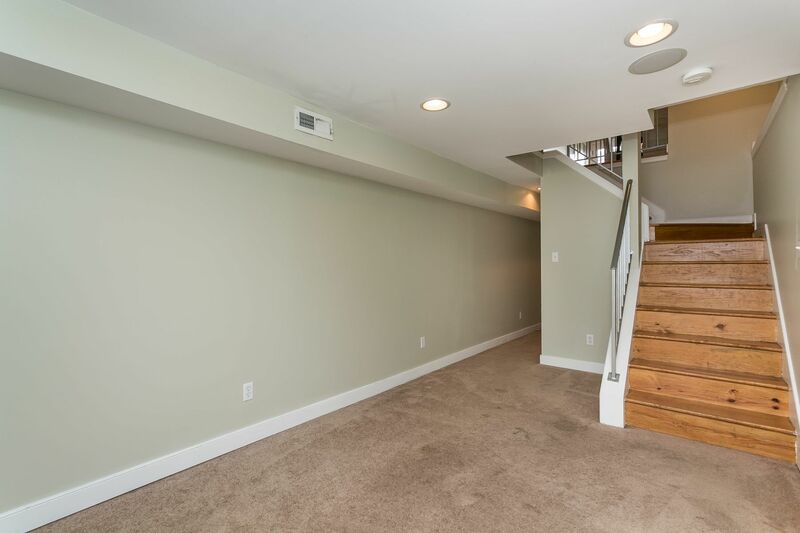 Great location & ideal layout! 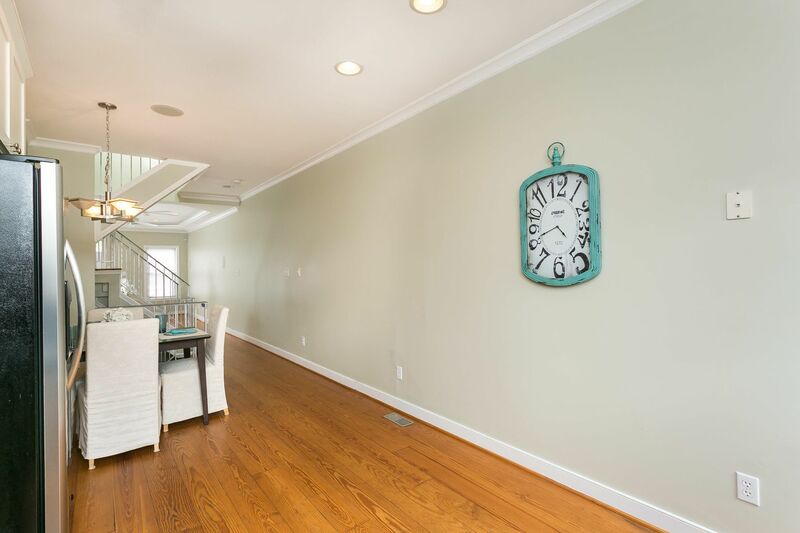 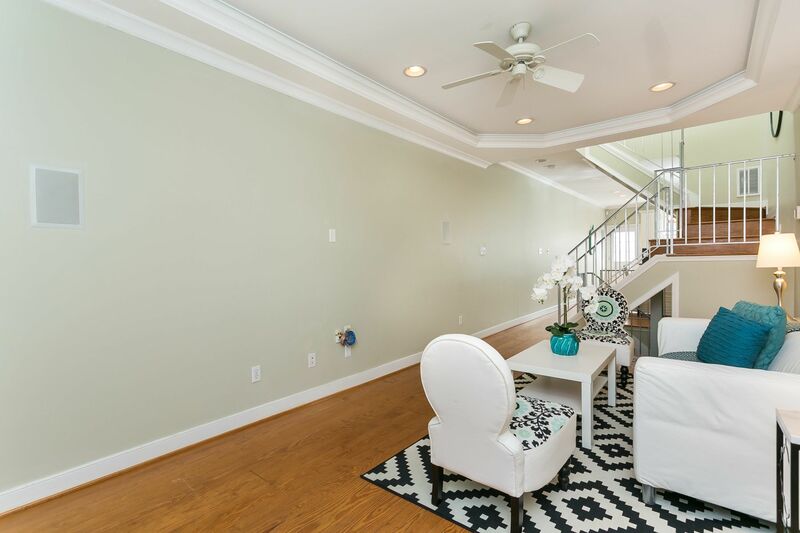 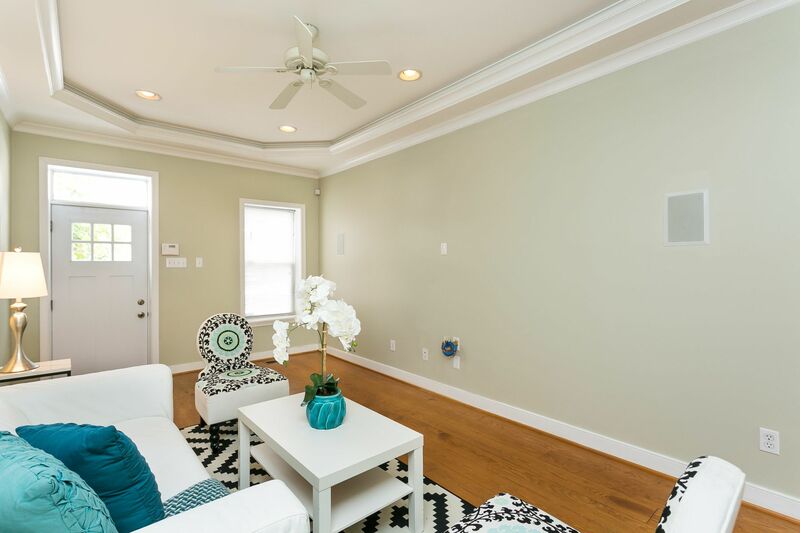 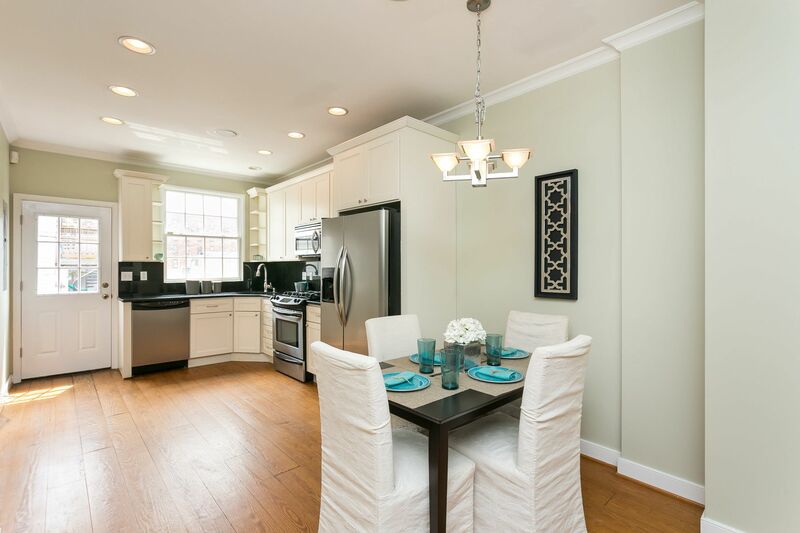 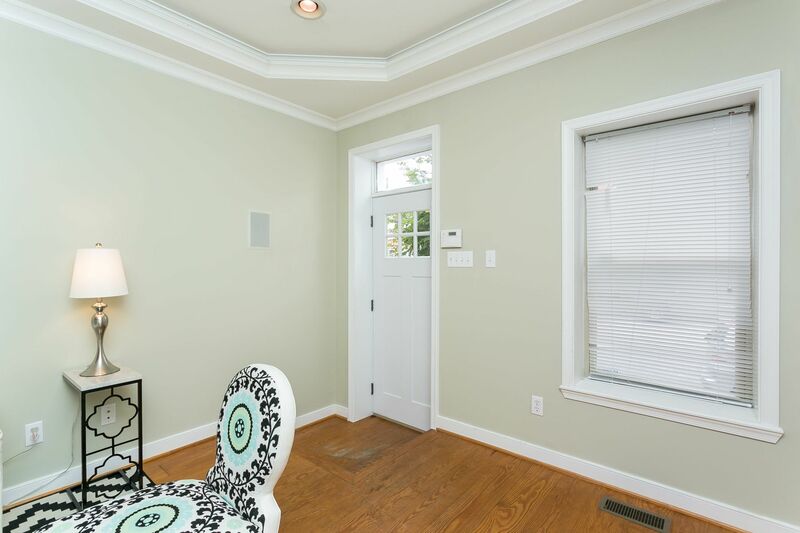 First floor has open living, dining and kitchen all with wood floors, recessed lighting & crown molding. 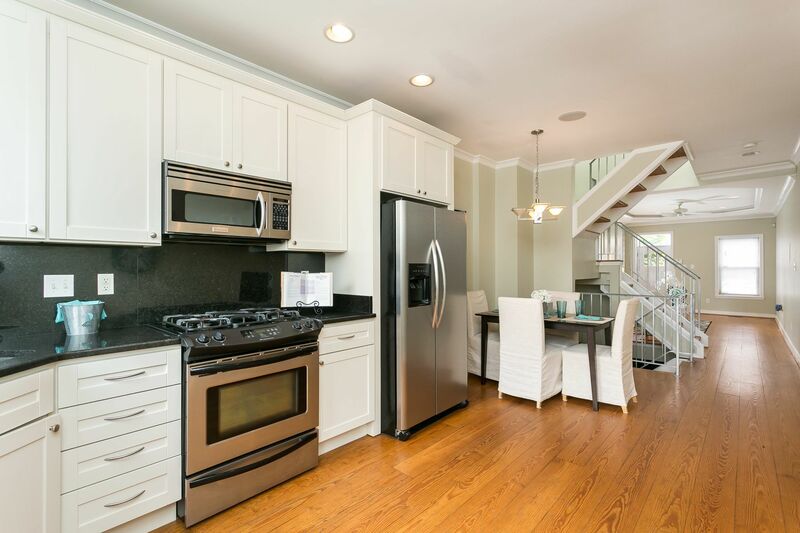 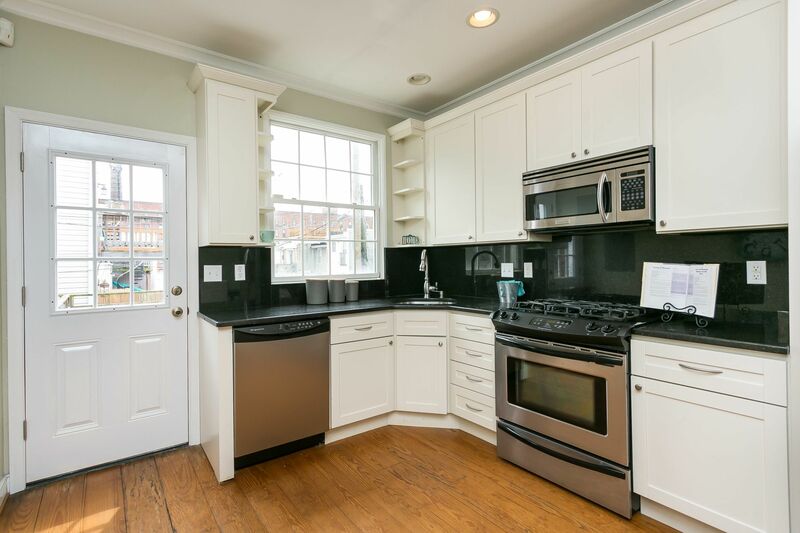 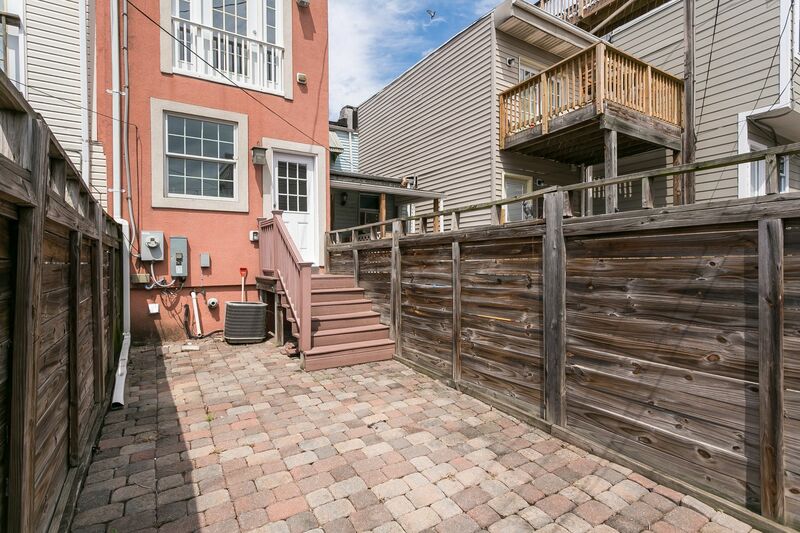 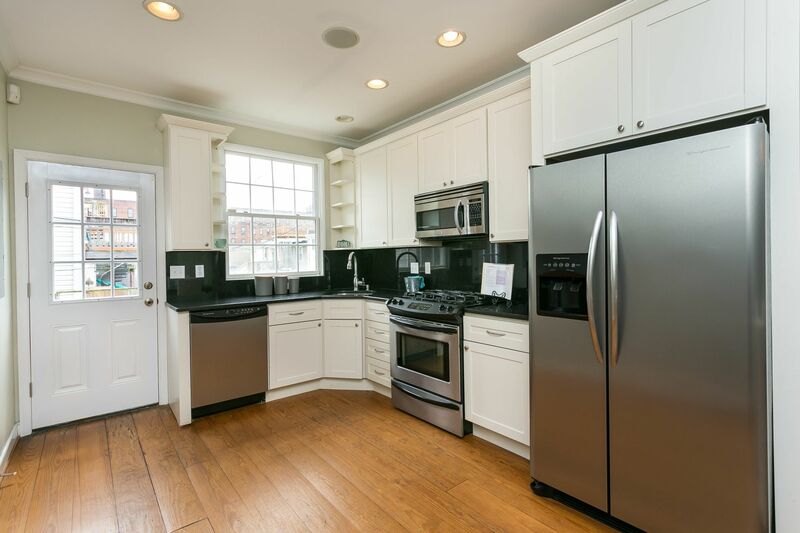 Kitchen has stainless appliances, white cabinets, granite & rear door to private fenced patio. 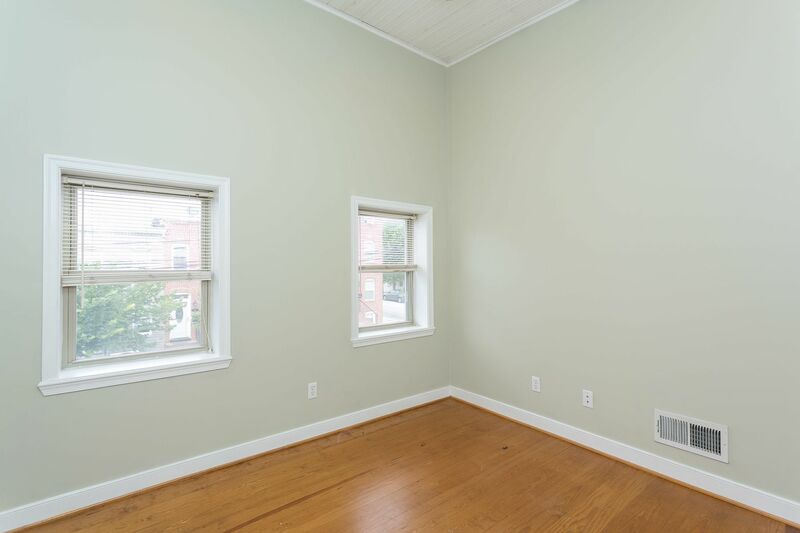 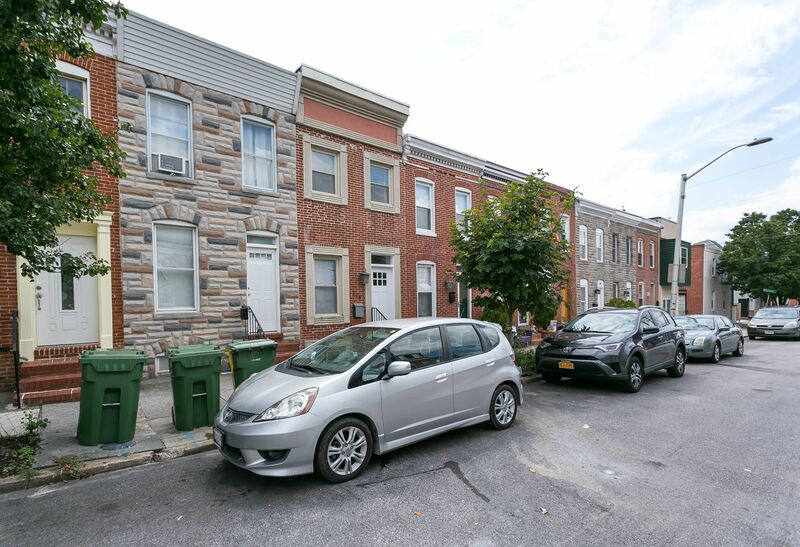 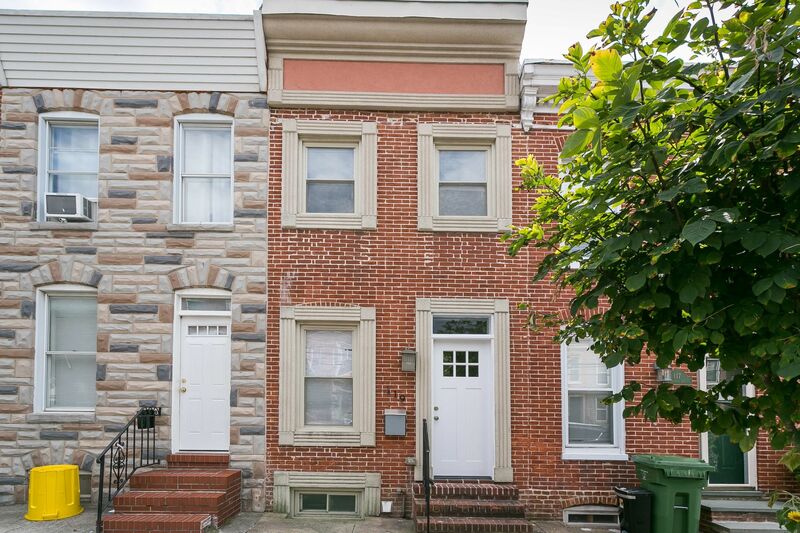 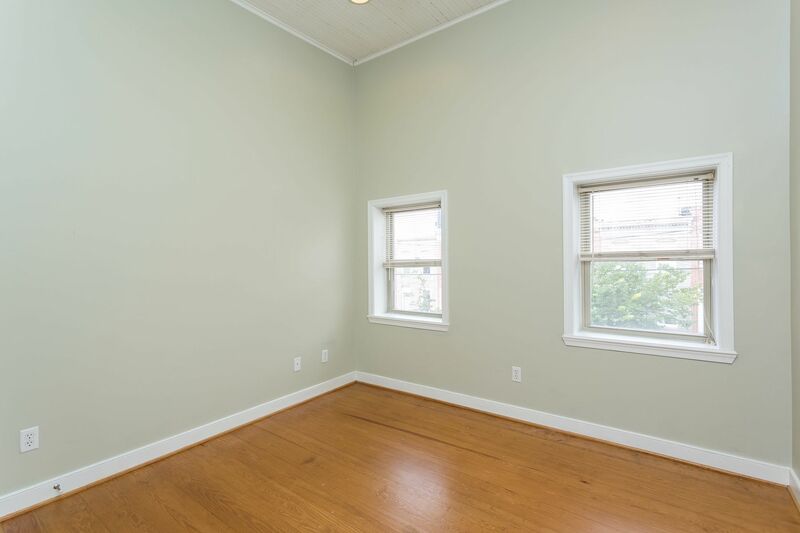 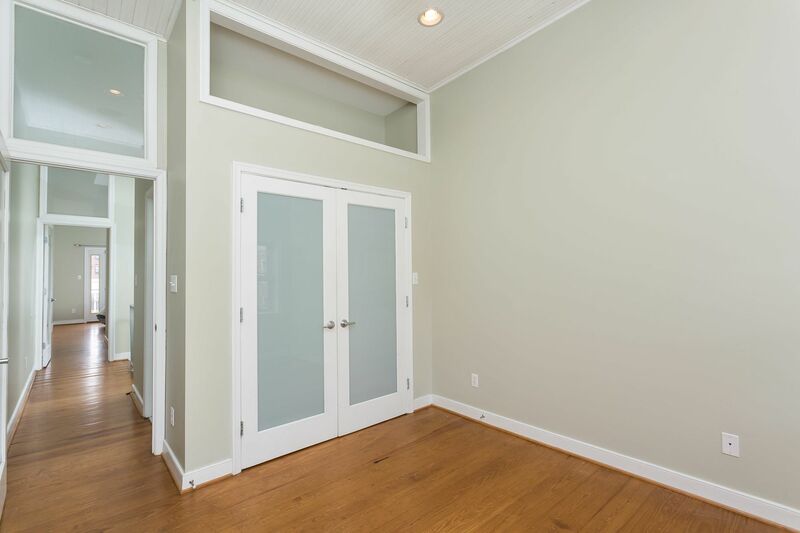 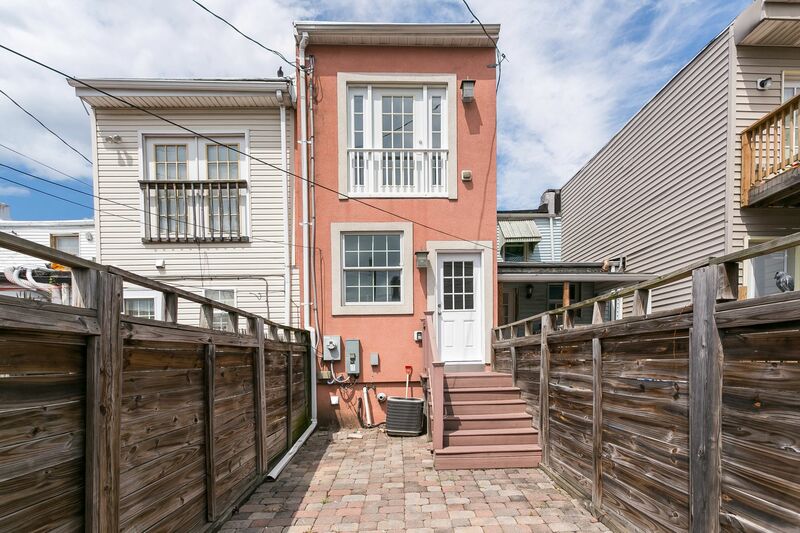 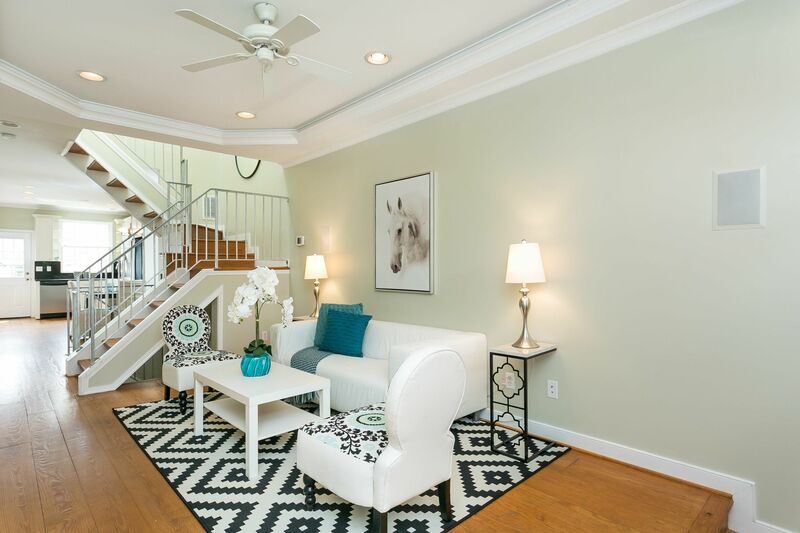 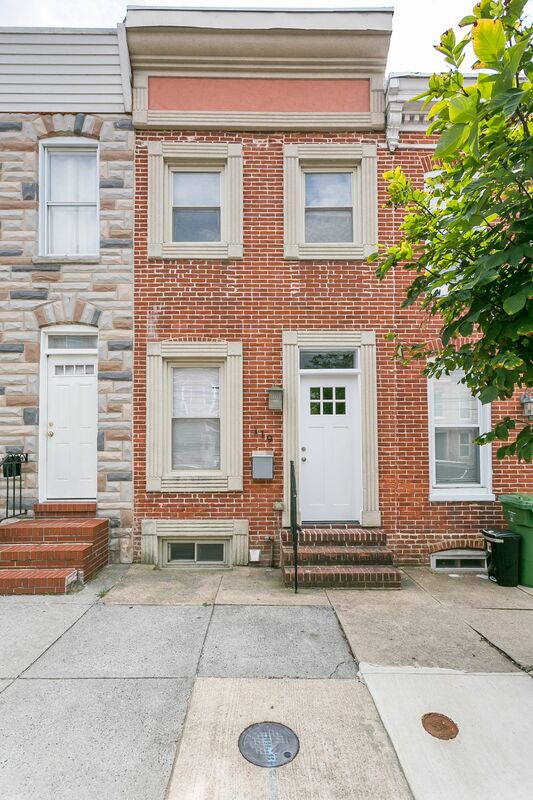 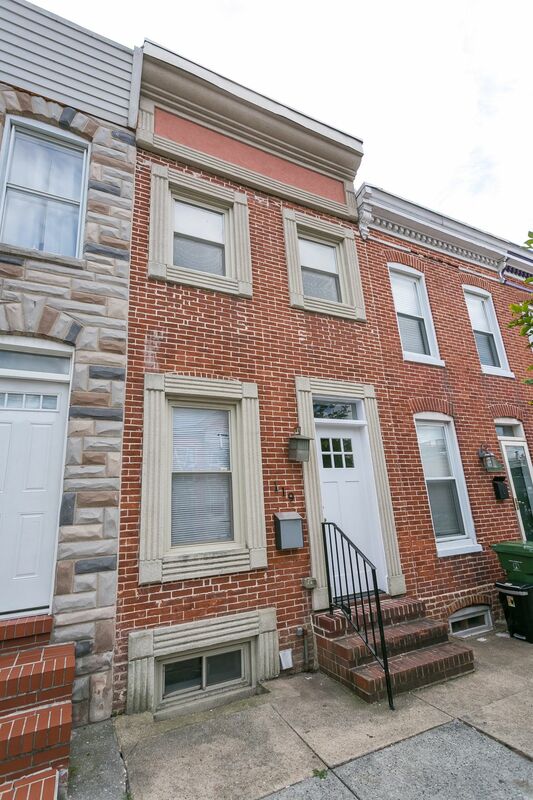 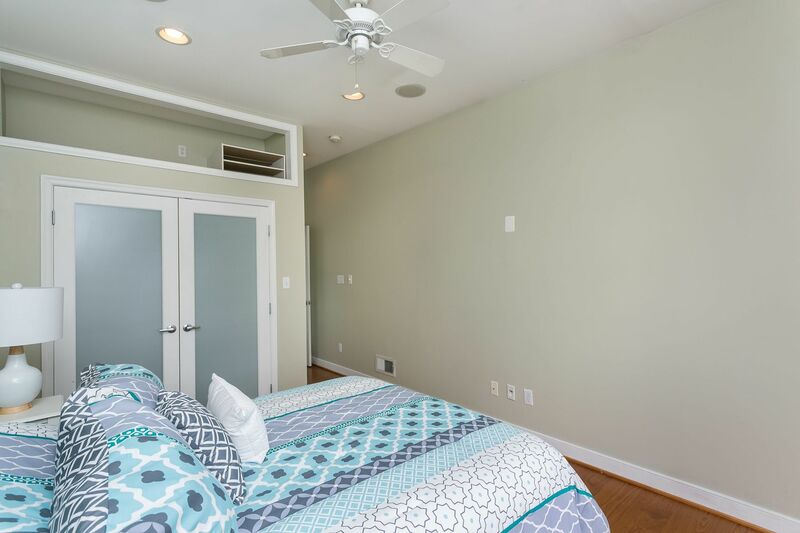 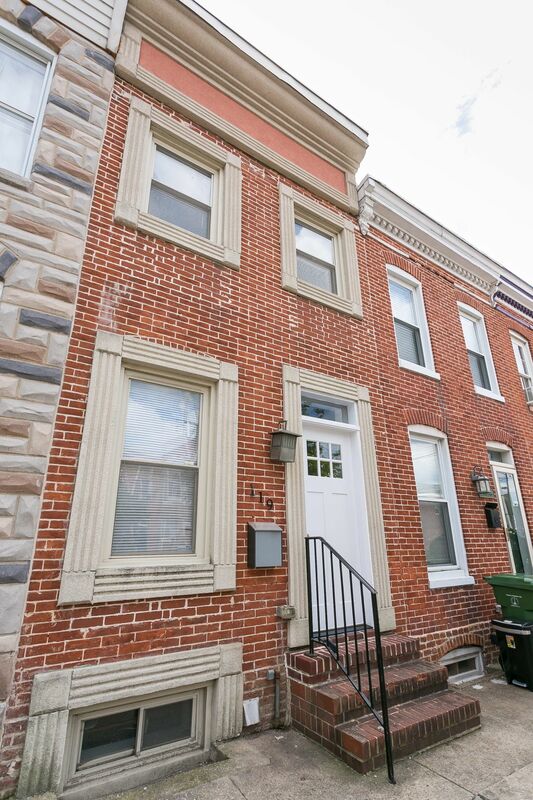 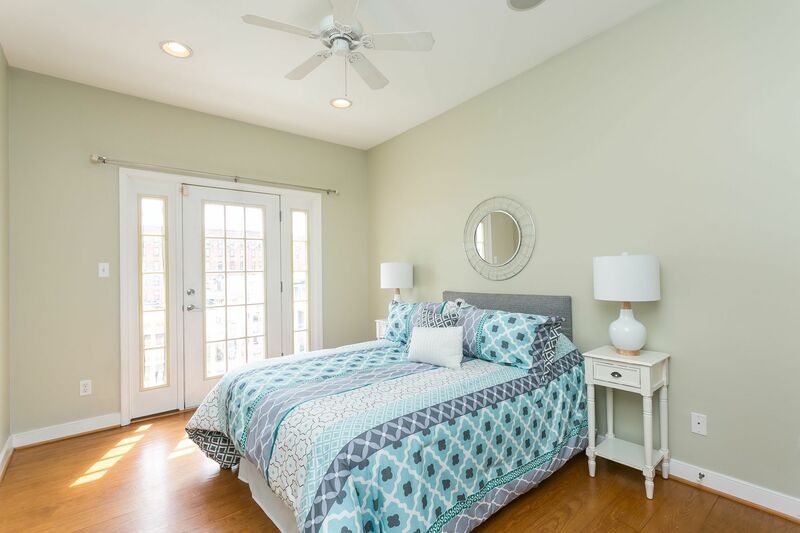 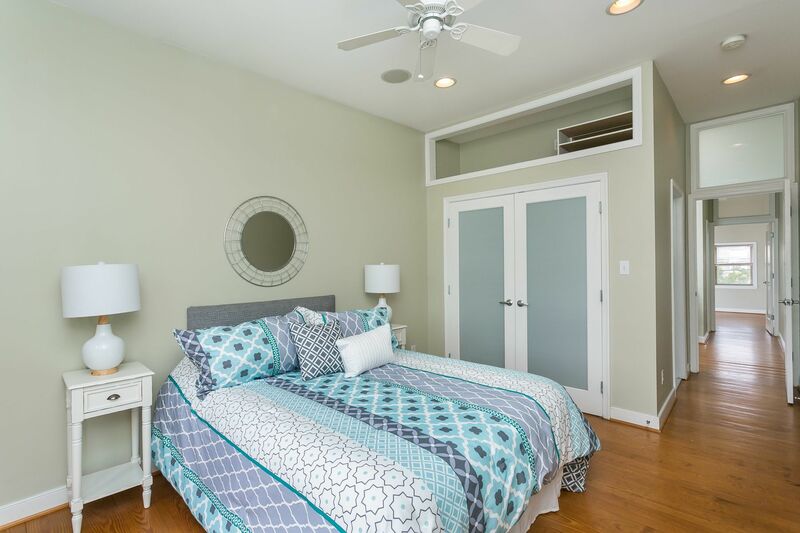 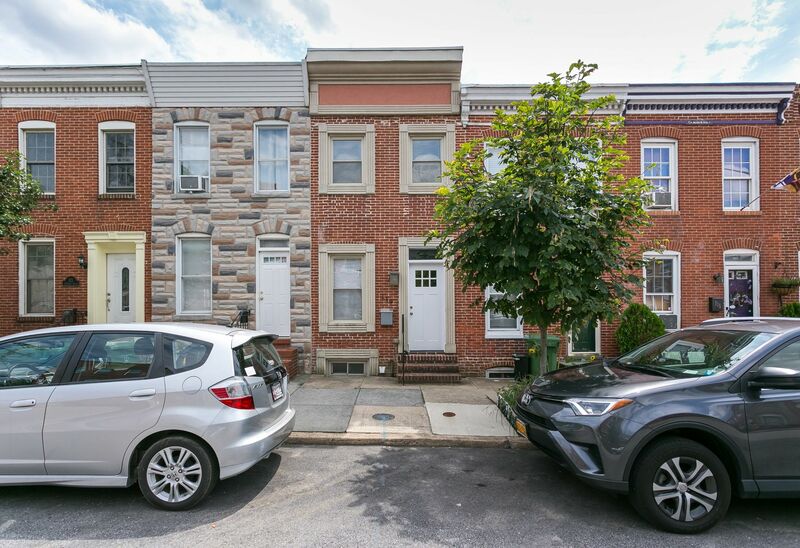 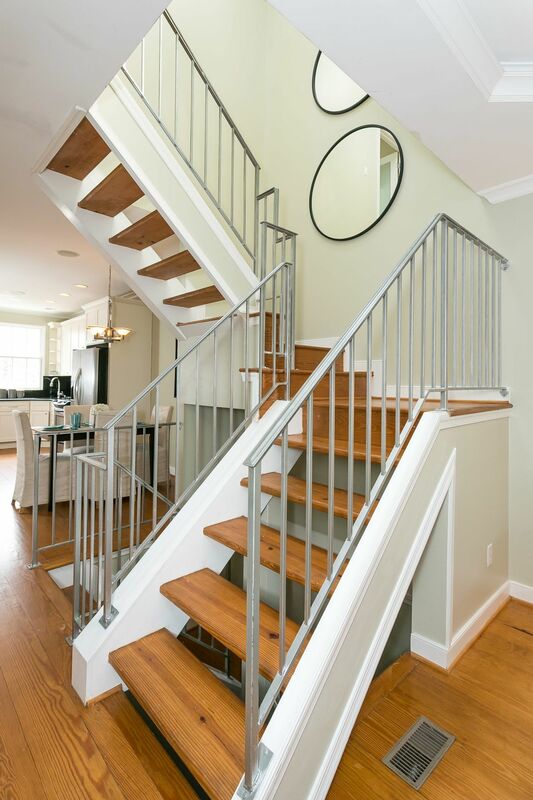 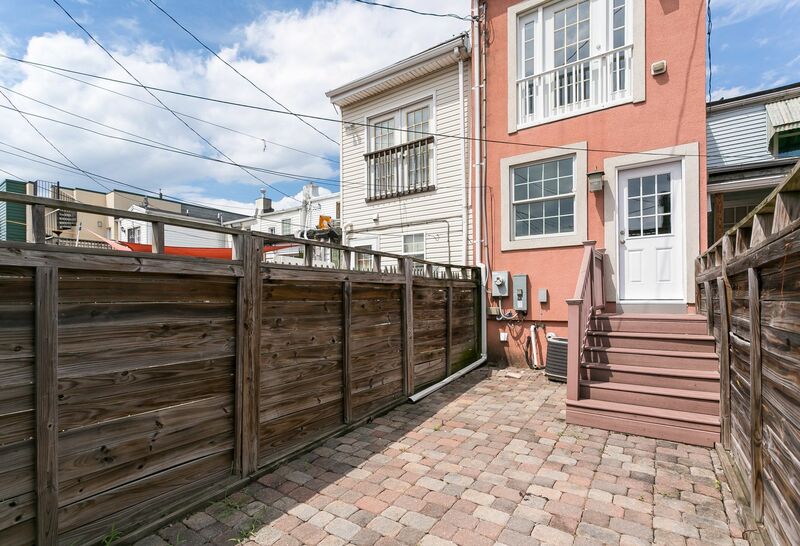 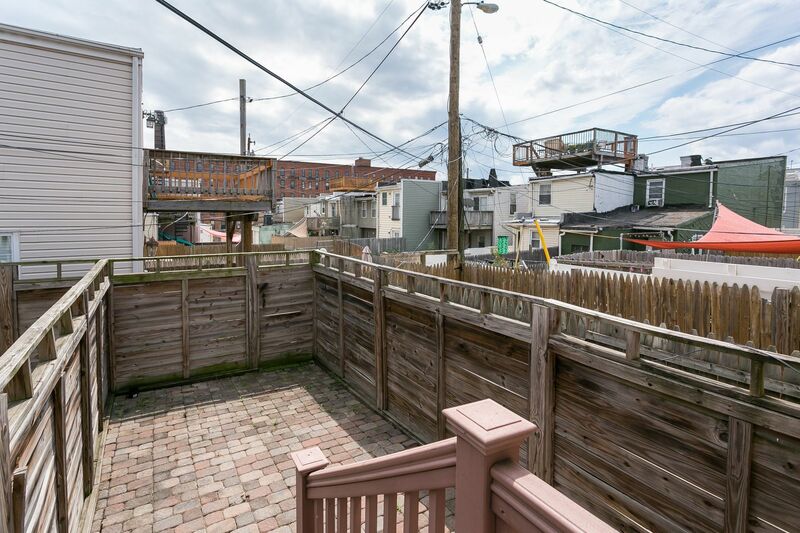 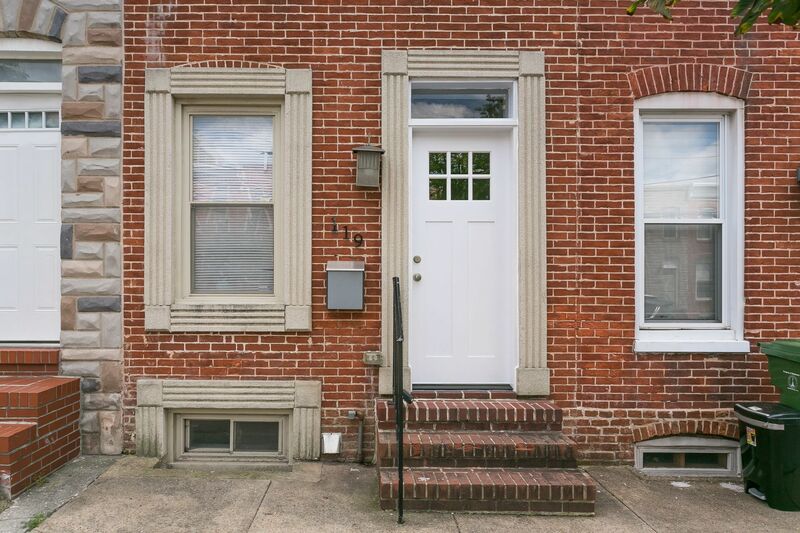 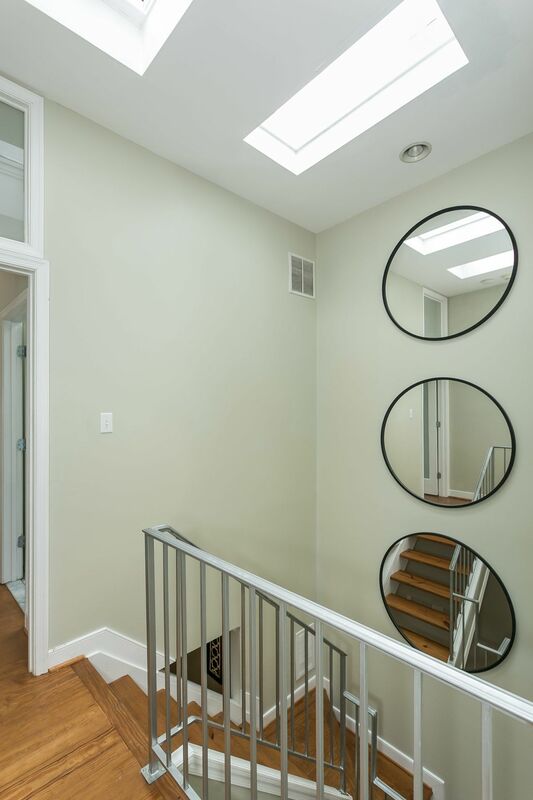 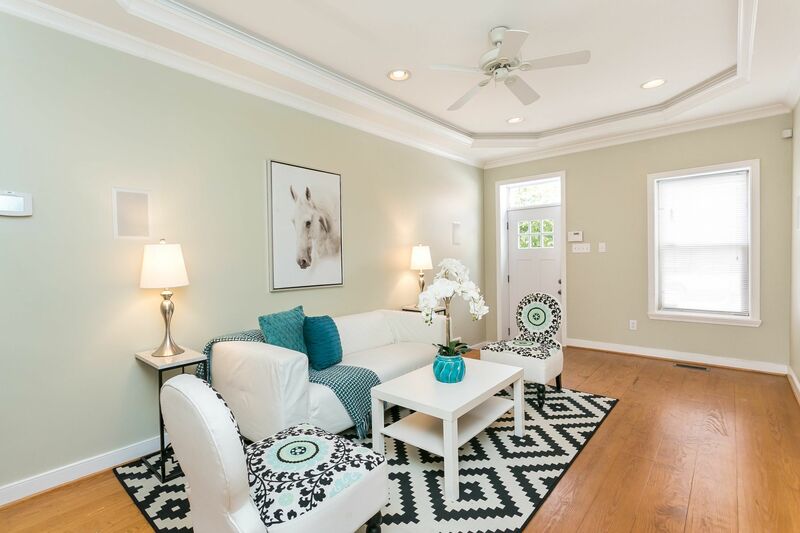 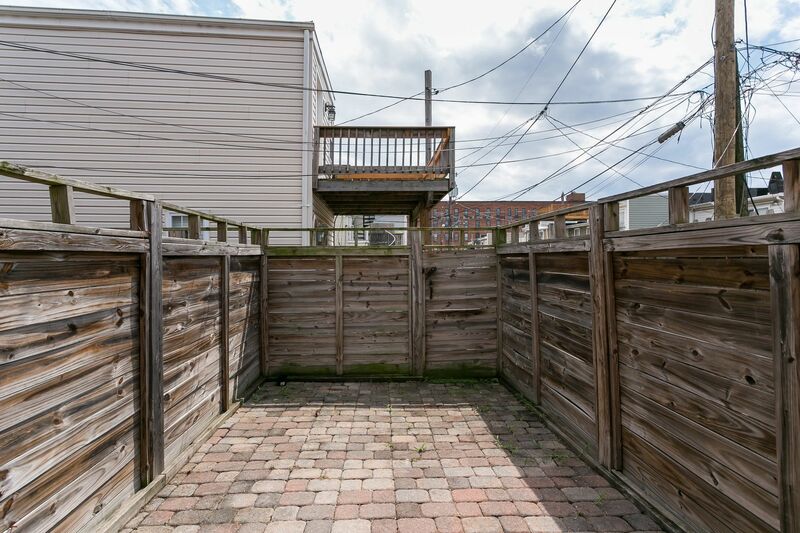 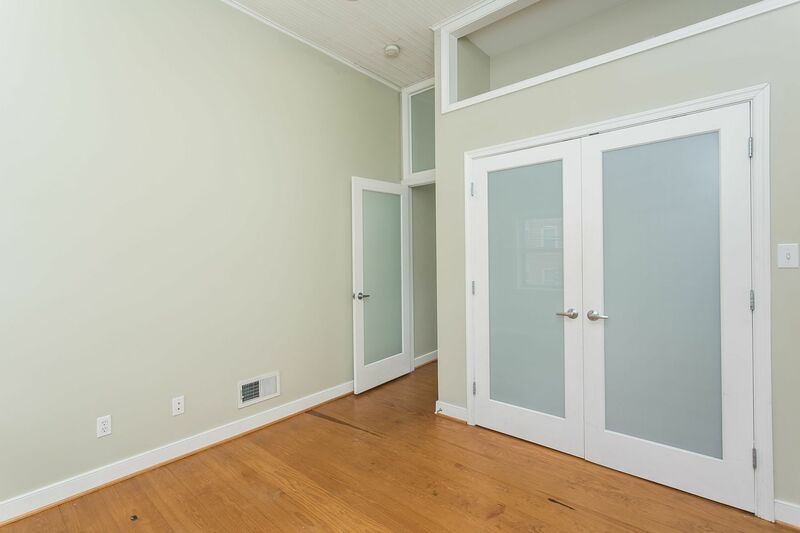 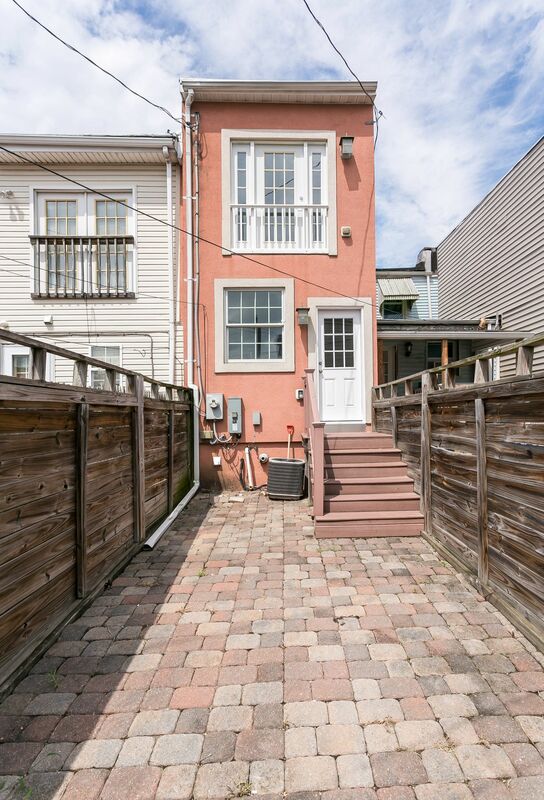 2nd floor has 2 bedrooms & 2 full baths, skylights = tons of natural light! 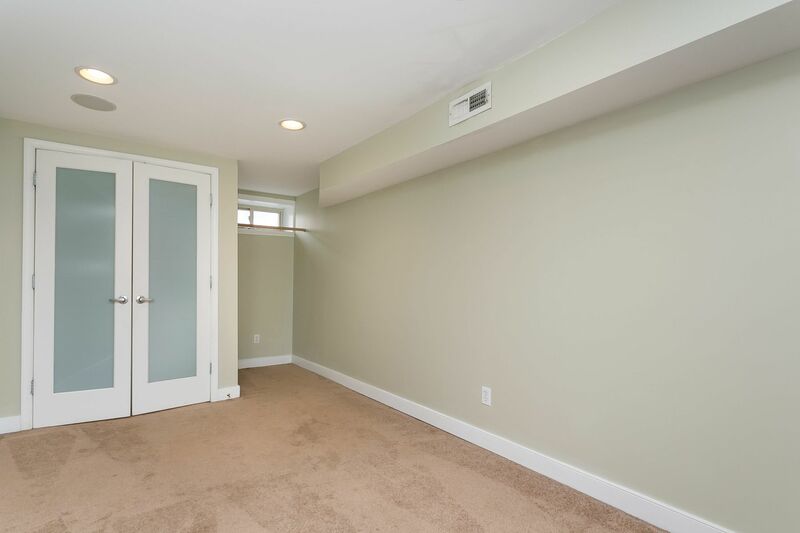 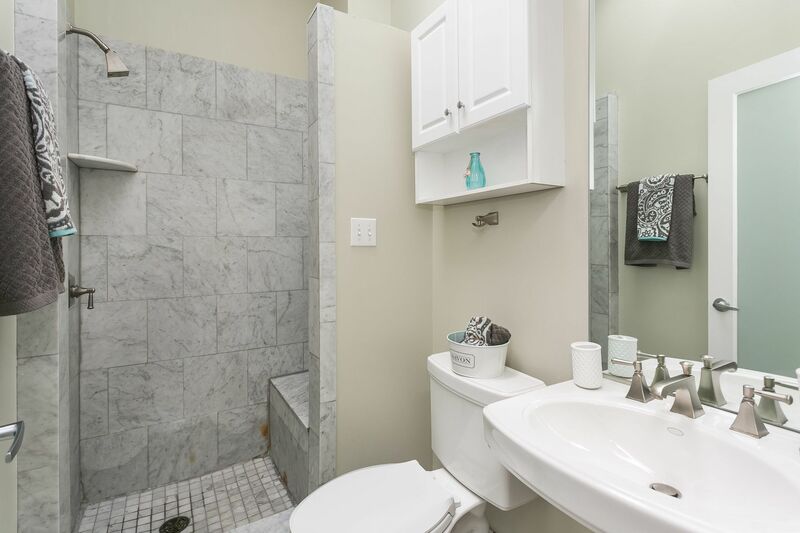 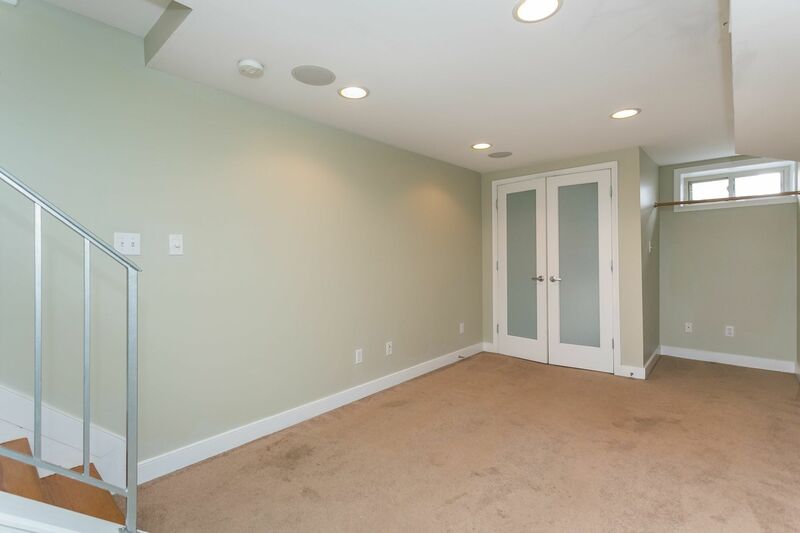 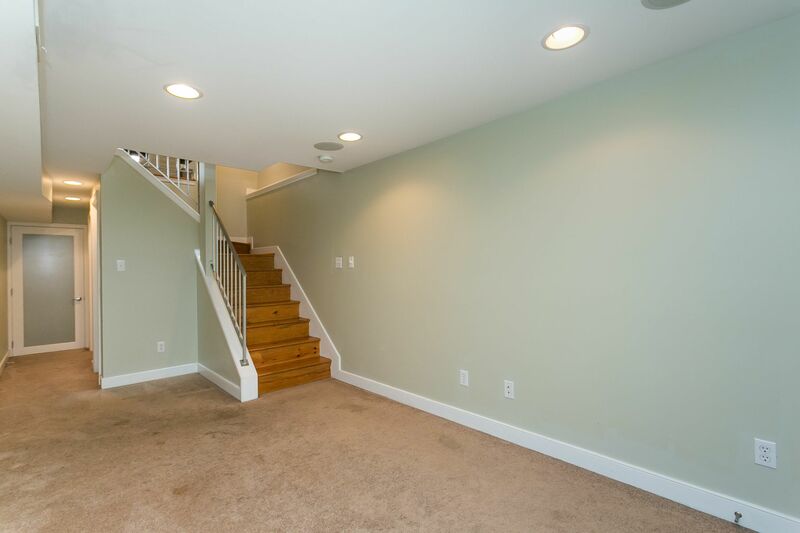 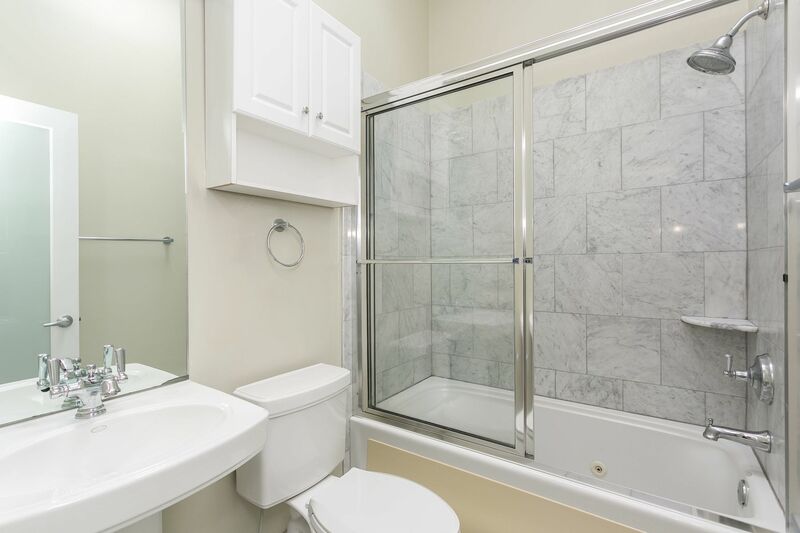 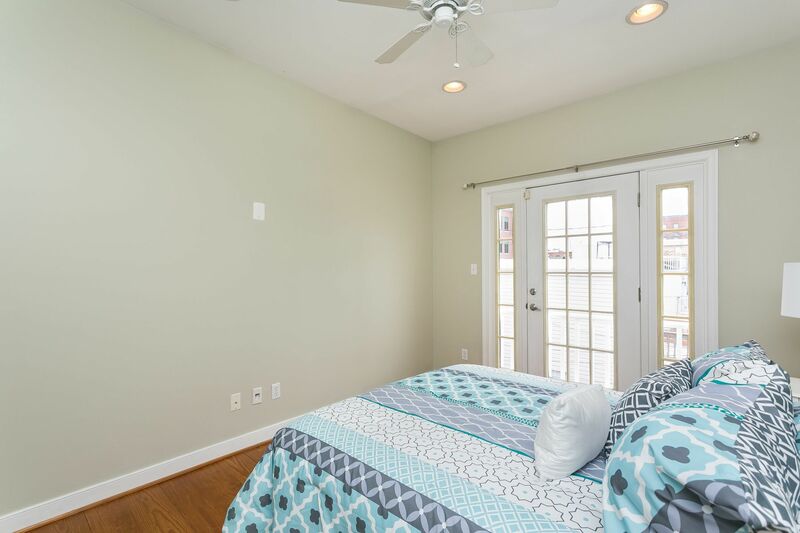 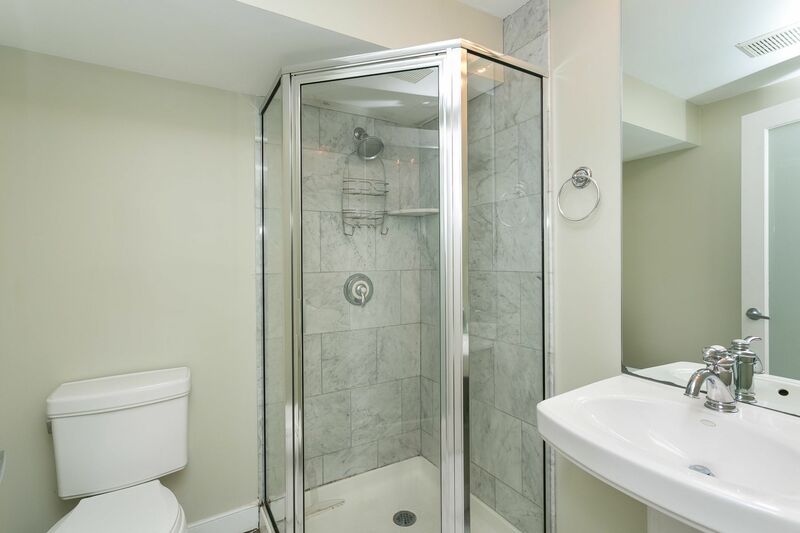 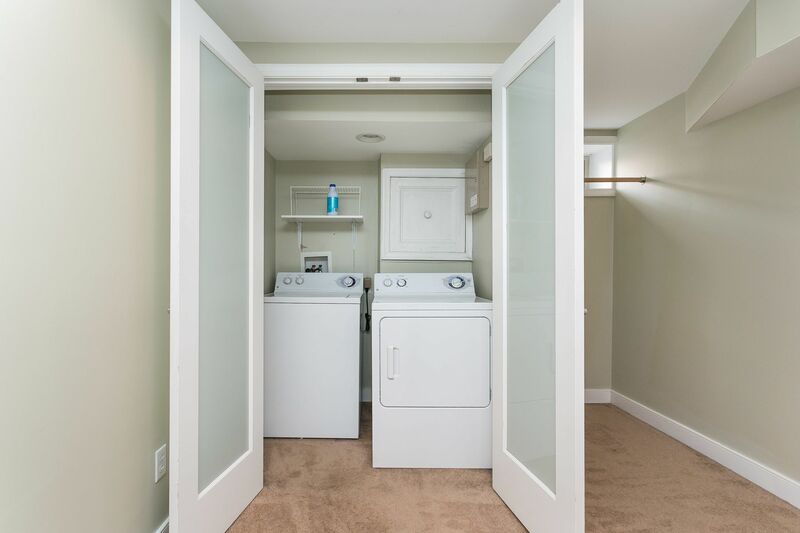 Finished basement has full bath and laundry - great for guest bed or family room!